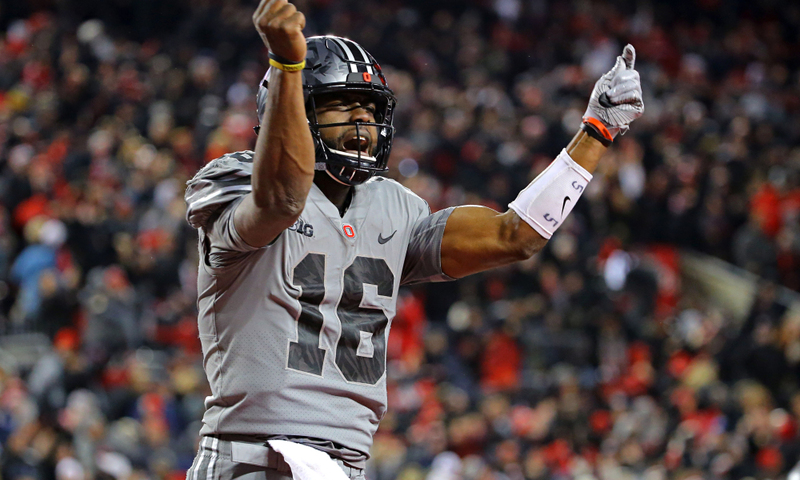 In a weird year for the Ohio State Buckeyes, J.T. Barrett has placed himself amongst not only the best Ohio State quarterbacks but Big Ten quarterbacks as well. Barrett has had a solid year that should see him get an invite to New York as a Heisman finalist and a season-long performance that could land the Buckeyes in the College Football Playoff for the third time out of the four years of the new format. To add to all of that, Barrett has been named as a finalist for the Johnny Unitas Golden Arm award. This award is for college seniors or fourth-year juniors that have not only enjoyed on the field success but have also thrived off the field. These students that qualify for the award must also be on pace to graduate with their respective class, which Barrett is. Along with his academic success, Barrett has obviously had his athletic achievements. This season, he has put up a 30-7 touchdown-to-interception ratio and 2,546 passing yards. He has completed 67.3% and currently has the Buckeyes sitting at 8-2 on the season. The announcement of the Johnny Unitas Golden Arm award will be on Friday, December 8th in Baltimore, Maryland.